My grandson, Greyson, was with us on Christmas morning this year. It was great fun to be able to watch him open a few presents. Like a lot of 2 year olds he seemed more interested in normal everyday things than he did in his presents. This year his favorite thing to play with was the patio door. The perfect gift for him would have been a tiny, just his size patio door to take home to open and close all year long. Of course if I HAD found him a tiny door he would have probably been more interested in the box! 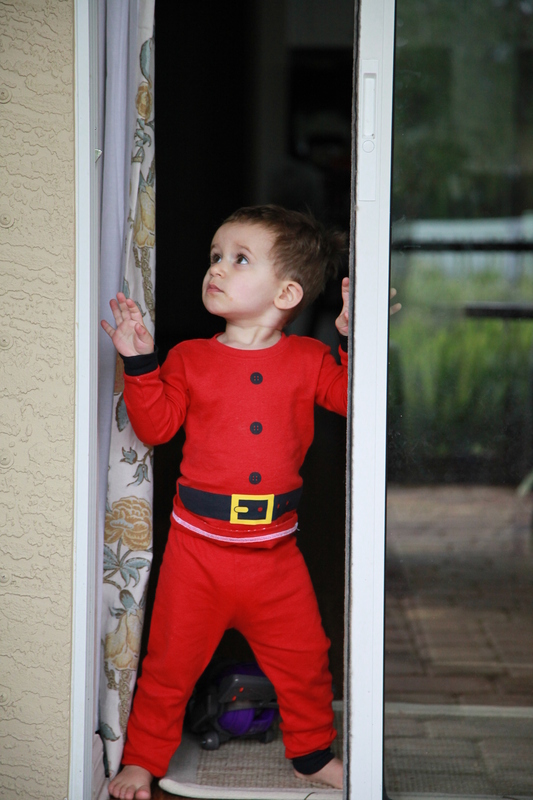 Categories: Canon 5D Mark II, Lakewood Ranch, Photo theme idea, Photography | Tags: 20, 52 Week Photo Challenge, Christmas, Greyson, Mindy Towns Photography, morning, patio door | Permalink. While driving around Tarpon Springs, happily lost, my friends and I noticed this old Spanish style building. We made a mental note of it’s approximate location so we could come back to it after we visited the sponge docks. It was old and beat up and did not fit in with the historic neighborhood filled with beautiful victorian style homes. The doors were locked tight but one window was broken out. We could see that there was some type of remodel under way. We had a lot of questions but no answers until I was able to do some research after returning home. I’ve found that the abandoned three-story building was built in 1926 and originally was christened First Baptist Church. It is currently known as, A Glorious Church. It is being transformed into a residential home by it’s current owner Richard Boeckl. 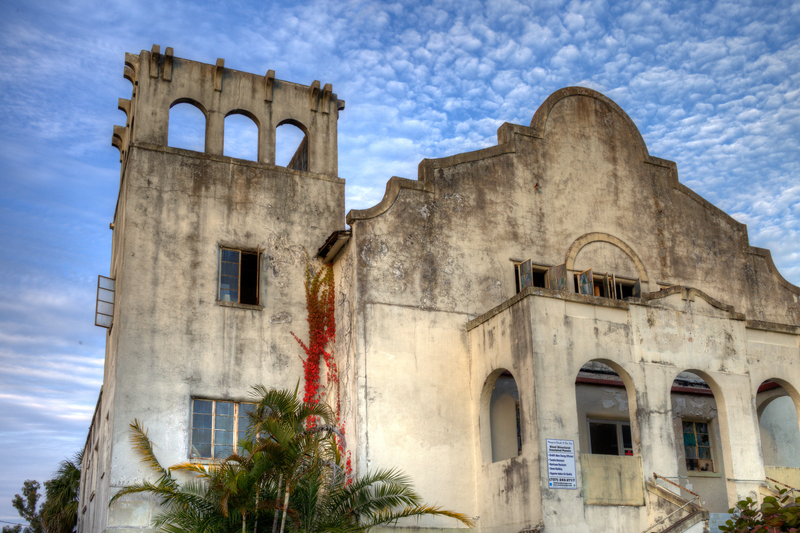 Only the buildings majestic frontage along Read Street will match the remnant of the facade. Boeckl purchased the building in the early 1970’s and rented it to several congregations until a 1993 storm flooded its ground floor with three feet of water and ravaged sections of the roof. He has been doing his best to maintain the building over the years. At one time there was a plan to remake the space into an antique condominium. In an old newspaper article that I found Boeckl said he hopes to have a certificate of occupancy within a year. Based on what we saw through the broken window and the photos shown in the article I think that might be a stretch. 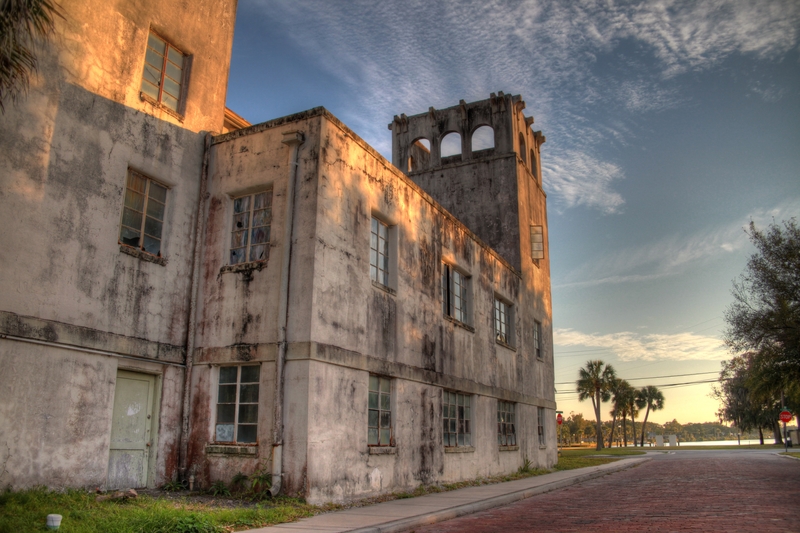 When I have a chance to revisit Tarpon Springs I will certainly seek out the old church again to see what progress has been made. How it turns out will remain a mystery until my next visit. 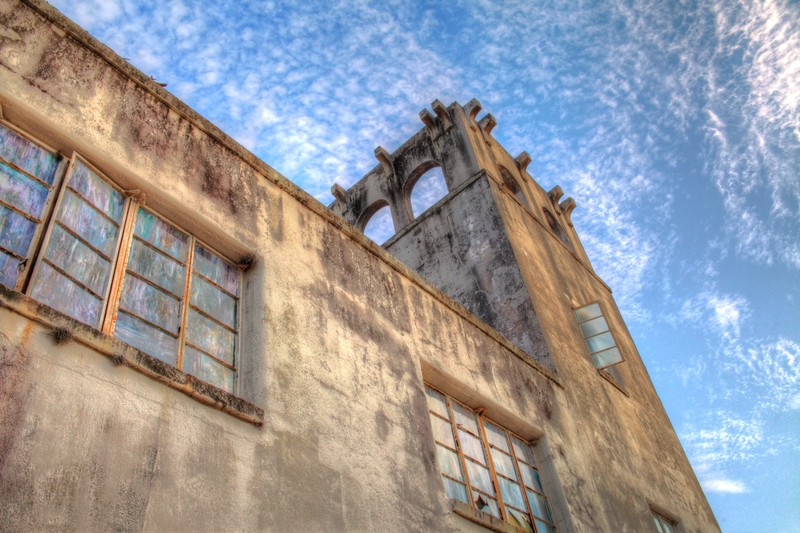 Categories: Canon 5D Mark II, HDR Photography, Photo theme idea, Photography, Uncategorized | Tags: 19, A Glorious Church, First Baptist Church, Read Street, Tarpon Springs | Permalink. The other day I took an impromptu road trip with 3 of my fellow 52-week photo bloggers. We jumped in the car and drove to Tarpon Springs, Florida. We grabbed our cameras and set out on a hunt for photos to match some of our remaining themes. I anticipate that we will all be making a couple posts from the same areas but under different themes. I’m looking forward to seeing how different we all saw the same things. We went a little silly when we noticed our reflections in the decorations of one of the Christmas trees along the sponge docks. At the time I was using a lens baby lens on my camera. I didn’t realize it until I uploaded the photos that the lens had warped the sun flare and made the photo a little more interesting. I also like that you can see the reflections of my partners in crime! 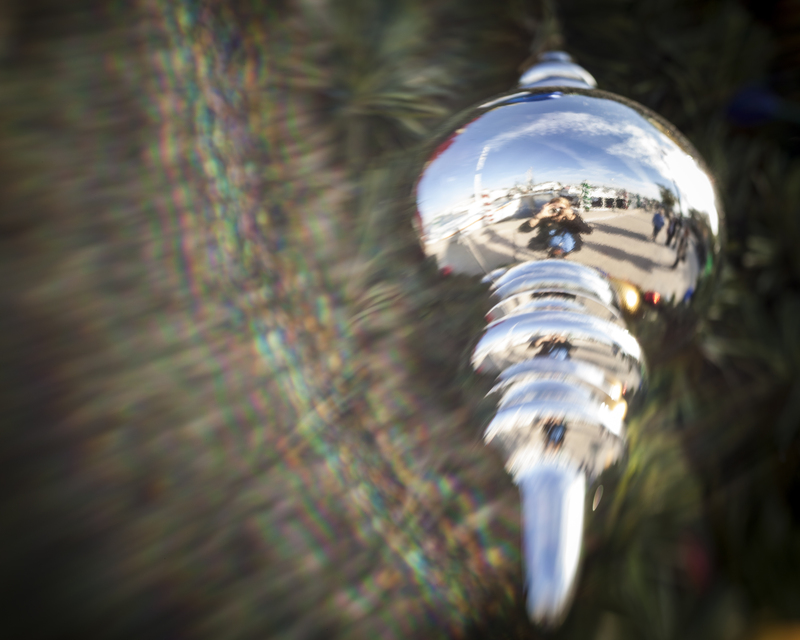 Categories: Canon 5D Mark II, Photo theme idea, Photography, Uncategorized | Tags: 18, Christmas Tree, Reflection, Sun Flare, Tarpon Springs | Permalink. The holiday spirit has been a little hard for me to find this year… yesterday I may have finally found it! 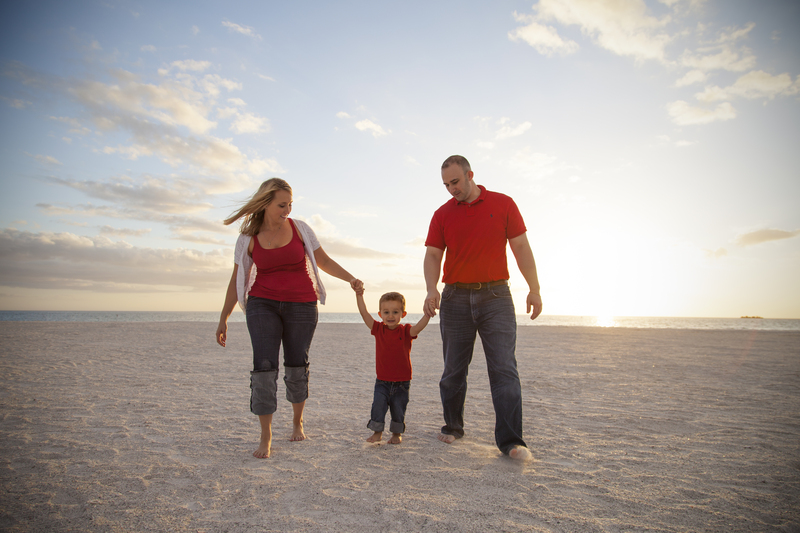 Categories: Beach, Canon 5D Mark II, Photo theme idea, Photography, Sunset, Uncategorized | Tags: 17, 52 Week Photo Challenge, Holiday Spirit, Mindy Towns Photography | Permalink.